I was 34 weeks pregnant with my first child and having an ultrasound to gauge the size of my baby. ‘Does everything look ok?’ I asked the ultrasound technician. ‘Everything is fine, but the baby measures quite large. Its head is about the size of a 38 week old baby,’ she replied. I knew my husband and I had rather large heads, but I was hoping our baby had not inherited this feature. Pushing this baby out was going to be hard work. I remember my mum telling me how large my head was as a baby and how difficult the labour was. This was obviously pay back! During my next visit with my obstetrician (OB) he suggested that I have another measurement scan at 38 weeks before making any decisions about labour. The next scan showed that the baby was still large. Its head, stomach and leg measurements suggested it would be around 9lbs (over 4kg) at 40 weeks. I was worried and could not imagine pushing out such a huge baby. A ton of questions were circling around my head. Did I have the strength to do it? Were my hips big enough for it to fit through? What if it got stuck? The OB said that my baby’s head was not yet engaged and he did not think that it was ready to be delivered naturally. If I had to wait another 2 weeks for labour to start, the baby was going to get even bigger and natural labour would be more challenging. I was also told that being induced early increased the risk of intervention such as forceps and possibly an emergency c-section if labour did not progress. Elective c-sections were becoming more and more common, but were not without risks, including increased blood loss, possible infection and longer recovery time. I was confused and upset. 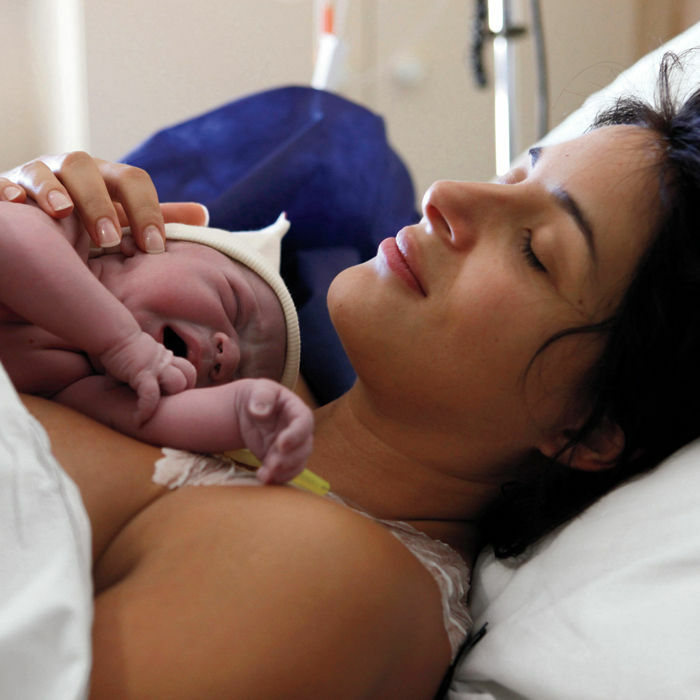 Before I became pregnant, I dreamt of having a baby and giving birth naturally. A c-section never entered my mind. I spent the weekend weighing up the pros and cons of each option. The answer was not jumping out at me. By Monday, I realised that to make my decision, I had to focus on the big picture – to deliver a healthy baby. And so I decided to have an elective c-section. I admit that I found the whole procedure rather clinical and had none of the drama of a natural labour, but when the OB handed me my 8lb (3.6kg) baby girl, I realised that it didn’t matter how she was delivered; only that she was healthy and safe. Next articleBreastfeed with no stress!